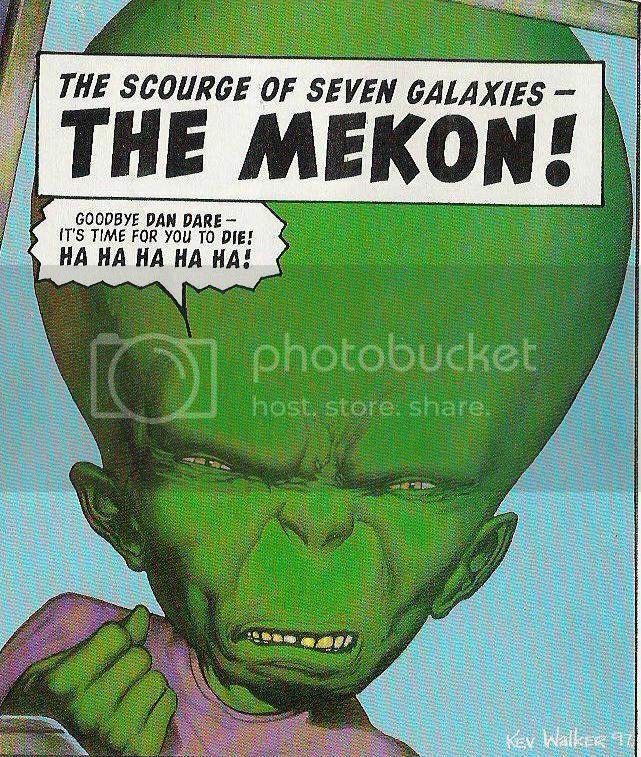 Michael Gove’s consigliere Dominic Cummings — dubbed ‘The Mekon’ by DfE staff owing to his apparent resemblance to the arch enemy of comic book hero Dan Dare — is back on quotable form with an assault on Number 10 splashing The Times (£). Perhaps it’s worth reprising some of his other, errr, finest moments. “He is self-obsessed, sanctimonious and so dishonest he finds the words truth and lies have ceased to have any objective meaning, and he treats taxpayers money with contempt. “He won’t do the hard work to get policy right – all he cares about is his image. He is a revolting character. And I say that after spending 15 years in Westminster. Prone to “volcanic outbursts”, Scrapbook hears that the former SpAd would occupy the barely used office of then education minister John Hayes making noises which led some officials to “suspect that animals were trapped inside the building”. Not related to John Redwood is he? Even “distantly”? see how they run, see now they run.